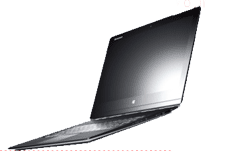 Lenovo YOGA 3 Pro 13.3" QHD+Laptop Tablet Intel Core M 5Y70 8GB RAM 256GB SSD. With this amazingly flexible device you get all the comfort and ease you always wished for. This superb device takes your portability to higher standards with its ultra slim and light design. By offering you long battery life and multiple options of connectivity it lets you stay productive on the go. Watch, work, chat and read by selecting a mode which most suits your task. Enjoy your movies in tent mode as the screen becomes more stable for touch use, or work with the classic laptop mode for efficiency. Its stand mode is ideal for socializing. It makes your web chats easier with YOGAs integrated 720p camera and dual array digital mic. 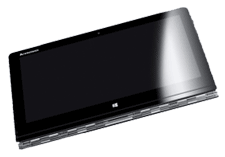 Lenovo Yoga 3 Pro can seamlessly transform into a tablet by rotating to 360 degrees. Its bigger screen and better performance gives you a more engaging experience than a conventional tablet. 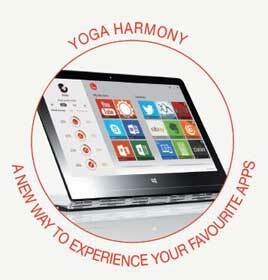 Featuring Yoga Harmony, this laptop adapts to your requirements by optimising settings, making app recommendations by mode and giving you statistical information about how you use the device. It keeps a record of which app you are using in which mode and makes it easier to search it. It also recommends new apps based on the choice of apps you are currently using in that specific mode. Equipped with super high-resolution QHD+ Touchscreen display, with wide view angle IPS technology, Lenovo Yoga 3 pro gives you an excellent viewing experience. Its Gorilla Glass protects the screen so you can watch crystal clear visual and using the low-power display it reduces the power consumption. 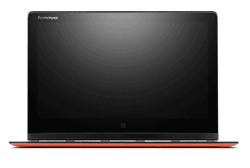 Enjoy immersive sound with Lenovo Yoga 3 Pro. Featuring JBL Stereo speakers it delivers outstanding audio in movies, songs or games. JBL Sound gives you professional level sound to your laptop and its certification with Waves Audio enables you to produce studio-class sound easily. With Lenovo Yoga3 pro you get a conversational assistant, Dragon Assistant, which is designed for Intel RealSense technology. Dragon Assistant lets you control your devices by giving voice commands. Rather than writing now just tell your computer to get answers, find content, play music and much more. It works efficiently with plenty of desktop applications and websites. Its built-in 44 Whr Li-Polymer battery gives you 9 hours of productivity between the charges. So now take your Yoga on business meetings, to a friends house or in a restaurant without worrying about its battery recharge.